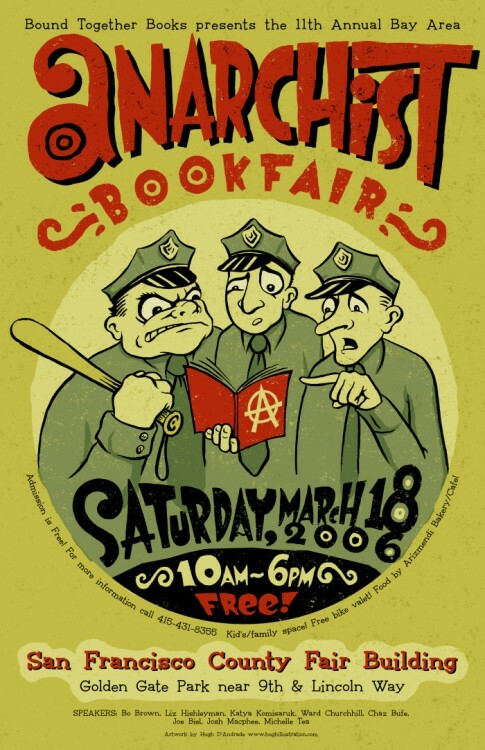 [Annual Bay Area anarchist bookfair, 12th] / Hugh D’Andrade. 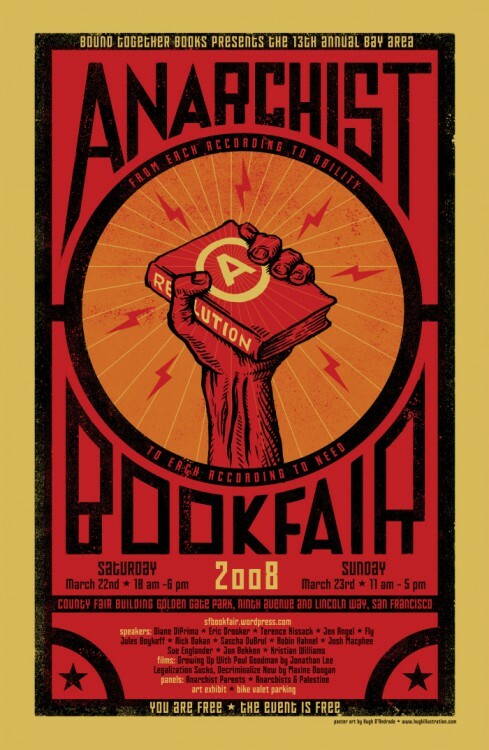 — San Francisco : Bay Area anarchist bookfair, 2007 . — 1 affiche (impr. photoméc. ), coul. (trois : rouge, noir, jaune, papier blanc) ; x × y cm. 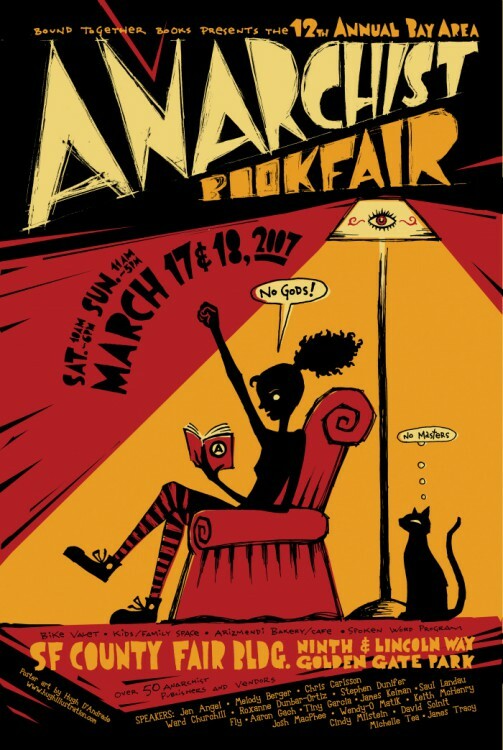 Speakers : Jen Angel, Melody Berger, Chris Carlsson, Ward Churchill, Roxanne Dunbar-Ortiz, Stephen Dunifer, Fly, Aaron Gach, Tiny Garcia Lisa Gray-Garcia), James Kelman, Saul Landau, Josh Macphee, Wendy-o Matik, Keith McHenry, Cindy Milstein, David Solnit, Michelle Tea, James Tracy.